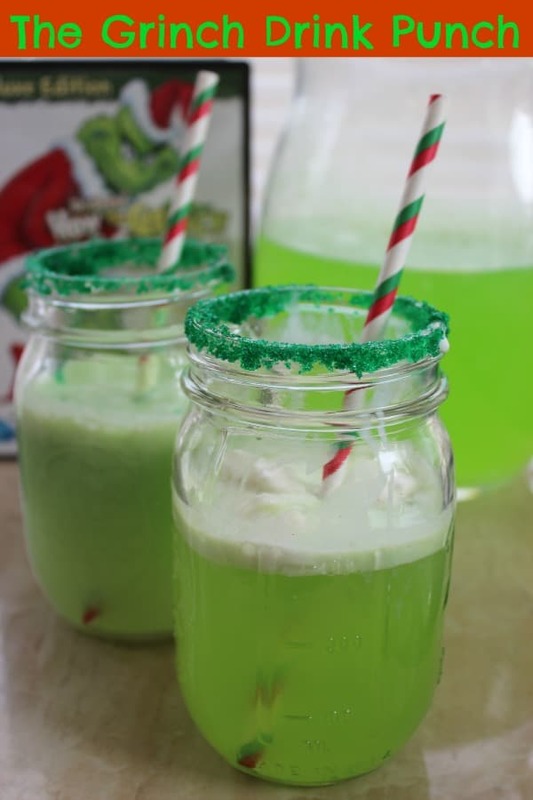 How about a Grinch Drink Punch to go with all those Grinch treats that I have been sharing with you? This green The Grinch Who Stole Christmas Drink is going to be a sure hit with just about anyone this holiday season. 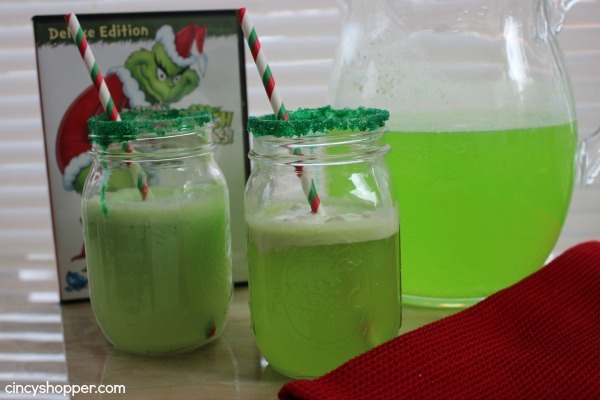 I whipped up a batch of this Grinch Punch for my kiddos for an after school treat yesterday. I surprised them last week with the Grinch Kabobs and then Monday with Grinch Crinkle Cookies. I thought it would be great to surprise them with this Grinch Punch Holiday drink . I think it turned out quit well and we will be adding this to our holiday list of drinks for our holiday party that we are having on the 22nd. They really liked this drink. I think the addition of the ice cream was the ticket. 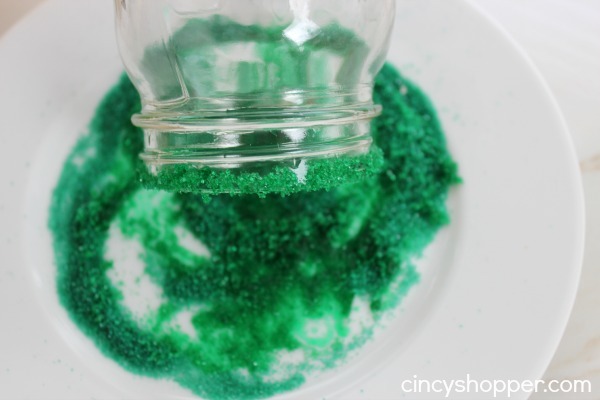 This Grinch Drink is so quick and simple yet it is quite festive and colorful. I have to mention how yummy it really is. So yummy that I think the adults will all be liking this one too! 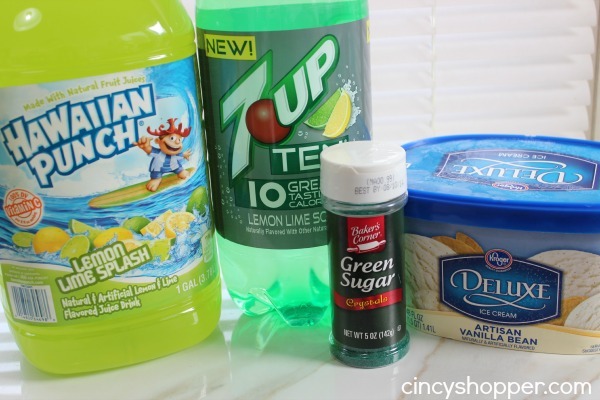 Grab some Sprite (or Sierra Mist), ice cream and some green sugar and you will have the ingredients for this holiday punch.